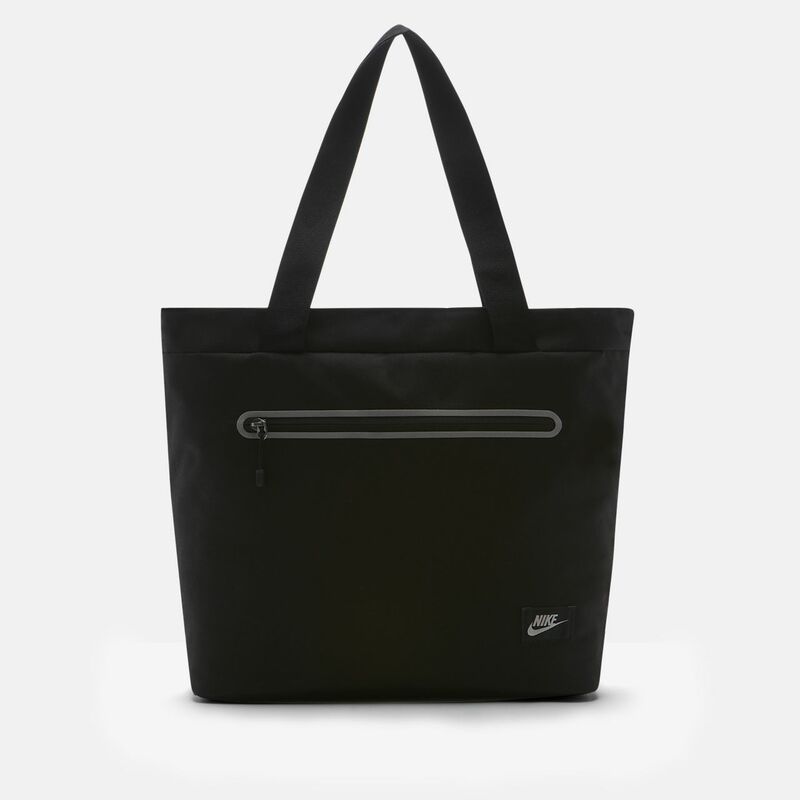 With a zippered main compartment and an internal divider, the Nike Tech Tote Bag provides versatile carrying options for school, dance, the studio and more. Zippered main compartment helps keep your valuables secure. Oversized straps for comfortable carrying. Internal hook-and-loop strap for another storage option. Durable exterior helps shield your gear from the elements. This bag is decent. The only issues I have are that (1) the straps do not stay on my shoulder when I am wearing a jacket or coat. The material causes it to slide off easily. And (2) I got the light blue colored one and it gets dirty very easily, I would recommend purchasing the black or a darker colored one instead. Other than these cons, the bag is cute and a nice size. I pack my gym clothes in it during the week along with my regular every day items. I was looking forward to this bag, but when I received it I was a little disappointed. the bag itself is ok but the straps are small. Winters in NY are bad and these straps are not long enough to go on and stay on my shoulders.